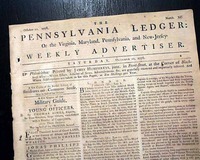 Experience the American Revolutionary War like you've never have before. 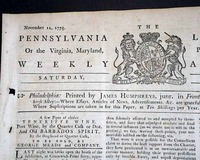 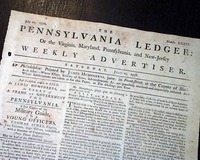 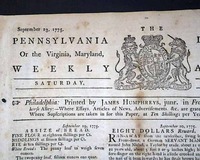 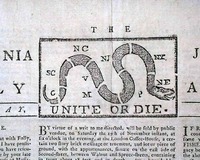 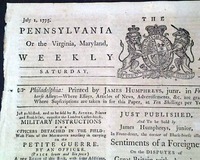 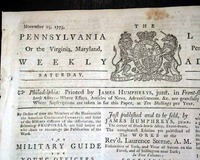 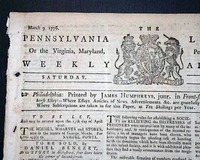 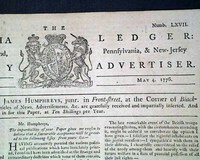 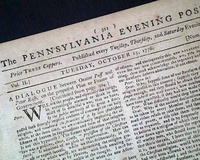 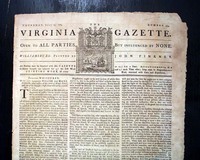 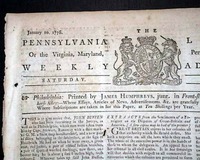 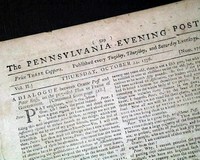 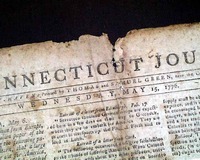 When you own an original, authentic Revolutionary War newspaper featuring coverage of the war, you will discover what it felt like to live at that time and read about the momentous events taking place. 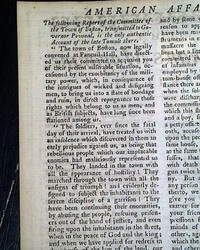 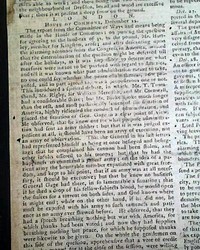 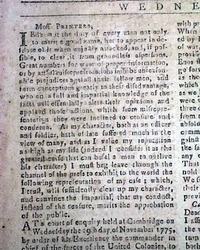 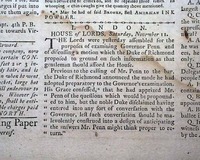 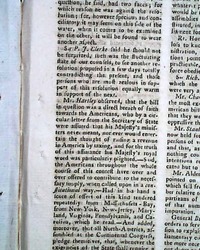 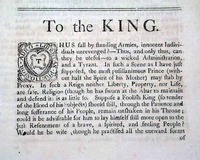 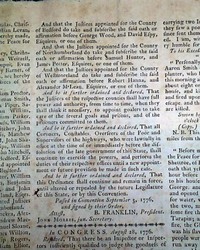 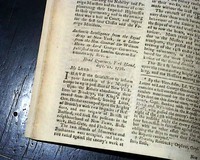 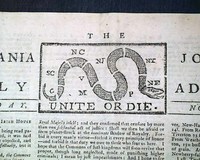 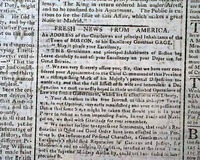 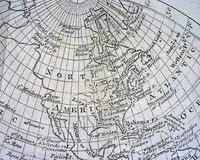 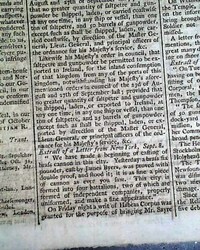 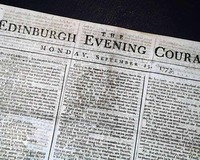 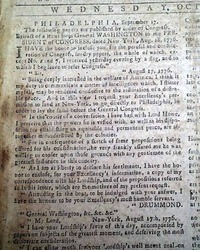 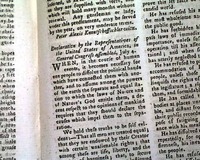 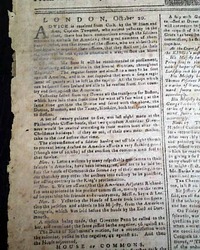 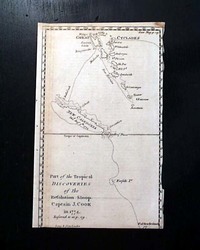 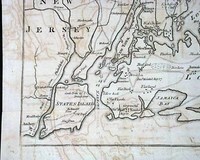 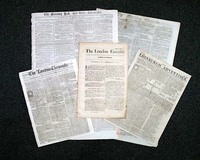 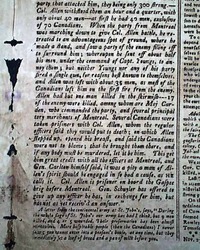 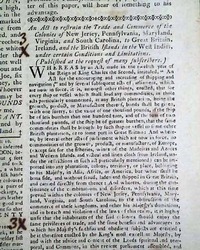 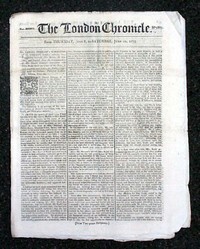 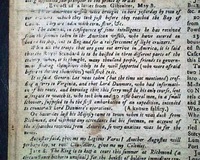 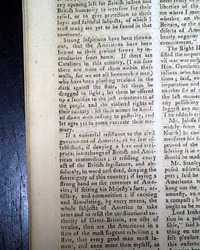 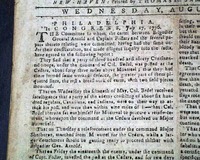 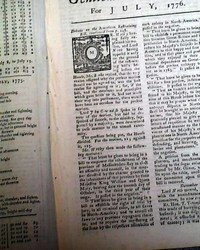 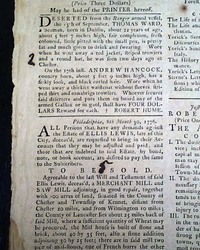 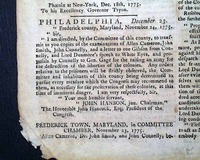 THE LONDON CHRONICLE (three issues) England, dated 1775, 1776, and 1777 - all with war news. 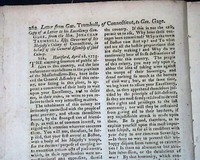 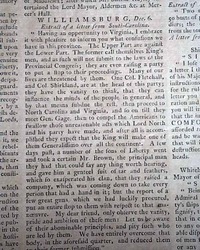 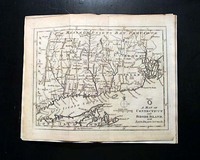 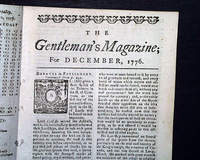 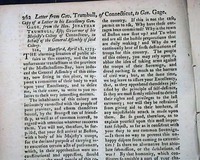 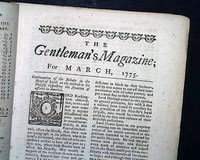 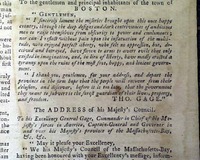 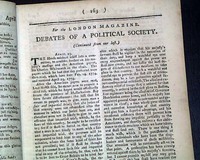 THE SUPPLEMENT TO THE GENTLEMAN'S MAGAZINE, London, 1775 The 30 pages of this issue is mostly taken up with a lengthy article headed: "Debates in the Last Session of Parliament, Resumed" which includes various talk of the Revolutionary War in America (see photos for portions).